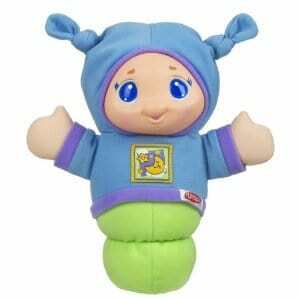 The Playskool Lullaby Gloworm is priced at $6.29. That's 52% off the regular price of $13! Piper got a Lullabye Gloworm for Christmas last year. It's been her “dolly” ever since. Haiden liked it so much we got a second one to keep them both happy and entertained in their cribs!